Seaside Heights now owns the historic carousel that was facing disassembly or the scrap heap, but the future venue for the vintage ride is still in limbo. As part of a deal with Casino Pier, which owned the carousel and was poised to sell it for parts in 2013, the borough traded a piece of oceanfront property for the pier to expand in exchange for the carousel and a plot of land along the boardwalk where a museum would be built to house the carousel. But in Seaside Heights, where the local government is still hurting from the hit its tax base took during Superstorm Sandy, funding sources need to be found for the boardwalk project. 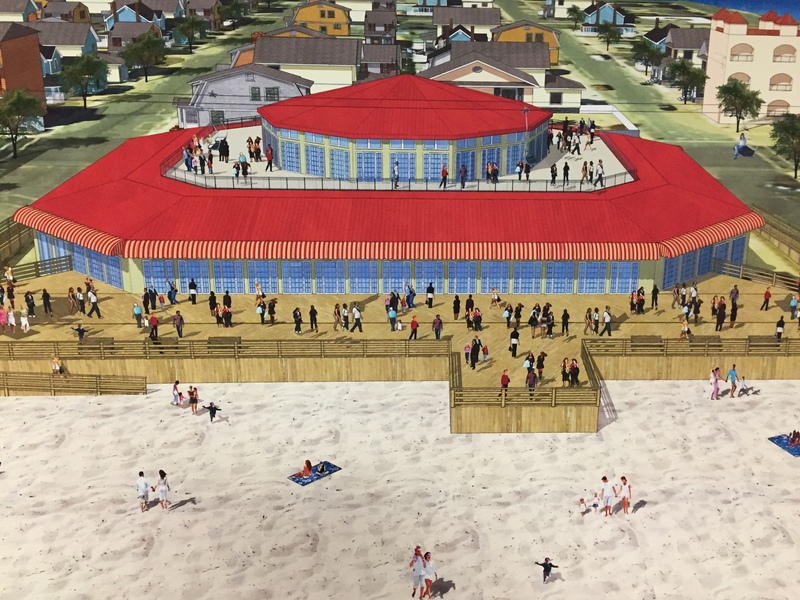 Last week, Seaside Heights began seeking bids from grant writing firms, with the hope of ultimately locating government and private funding for the building, which will be built at Sampson Avenue and the boardwalk. Early in the process, officials envisioned a building that would house a museum on the ground floor and potentially a wedding or banquet facility on the second floor, overlooking the ocean. There has also been talk of gearing the facility more toward history, incorporating relics of the town’s past (like antique fire department equipment) in a space where schoolchildren could visit on class trips and visitors could enjoy a quick sandwich. Vaz said grants often come with obligations that may or may not allow certain activities in the facility. An initial rendering was released at the time the deal with Casino Pier was proposed, but the building could end up looking much different. “If we can get the building paid for, or nearly paid for, we can think of designs for the museum,” said Vaz.